Entries close: Monday 24th June 2019. Entry fees: £4.00 per class. Young handlers FREE in Classes 1 & 2. Judges: John Clay (Breeders), Ben Cole (Jacob), Shaun Smith (Rare Breeds), Norman Howe (Native), Matt Morris (Continental), TBA (Wool). Judging commences: 1.00 pm All sheep to be on the showground by 12 noon. 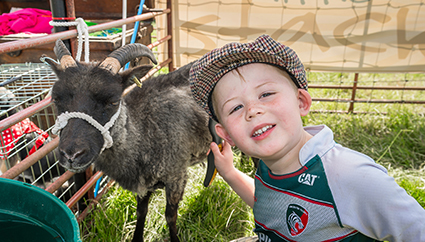 Change clothing and footwear before leaving licensed sheep area (showground). All sheep must be identified by EAR tag. Make sure all trailers are clean. Current regulations be observed. Class 1 Young Handlers aged 4 – 9 (on date of the Show) – to be led. Class 2 Young Handlers aged 10 – 16 (on date of the Show) – to be led. Class 3 Three Lambs suitable for retail trade sired by a native breed. Class 4 Three Lambs suitable for retail trade sired by a continental breed. Class 5 Three Mule or Masham Theaves. Class 6 Three Theaves sired by a continental breed. Class 7 Three Theaves sired by a native breed. Class 8 Ewe and her own Suckling Lambs. Class 9 Three Ewes – any Breed or Cross that have suckled in 2019. Class 10 Single Ram Lamb – any Pure Breed. 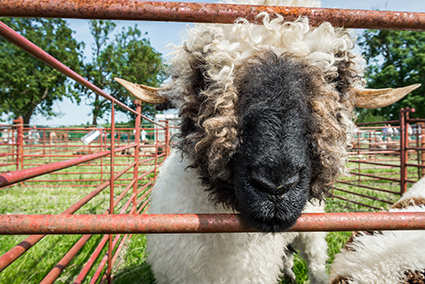 Class 11 Single Ram Shearling and Older – any Pure Breed. Class 12 A Hill, Heath or Downs Ewe and her own Progeny. Class 13 Ewe that has suckled in 2019 – to be led. Class 14 Shearling Ewe – to be led. Class 15 Ewe Lamb – to be led. Class 16 Ram Lamb – to be led. Class 17 Shearling Ramb and Older – to be led. Class 18 Group of Three (to be made up from above). Class 19 Any Aged Rare Breed Ram. Class 21 Ewe and Progeny. Class 22 Single Shearling Ewe. Class 24 Group of Three (to be made up from above). Class 25 Ewe that has suckled in 2018 – to be led. Class 26 Shearling Ewe – to be led. Class 27 Ewe Lamb – to be led. Class 28 Ram Lamb – to be led. Class 29 Shearling Ramb and Older – to be led. Class 30 Group of Three (to be made up from above). Class 31 Ewe that has suckled in 2018 – to be led. Class 32 Shearling Ewe – to be led. Class 33 Ewe Lamb – to be led. Class 34 Ram Lamb – to be led. Class 35 Shearling Ramb and Older – to be led. Class 36 Group of Three (to be made up from above). Lt Col Hignett Challenge Cup – Best Pet of Lambs Exhibited by a Farmer in the Fernie Hunt Country. A Davis Cup – for the Champion Commercial Ram. J E Potter Cup – for the Champion Pen of Lambs. 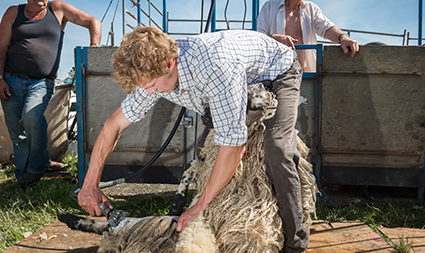 G R Doughty Cup – for the Best Pen of Lambs Sired by a Native Ram. Mr & Mrs J Dixon for winner Young Handler age 4 – 9 years. Mrs P Bromley for winner Young Handler age 10 – 16 years. Wheel & Compass – Weston-by-Welland: Silver Salver for Rare Breed Champion. The Three Amigos: Shield for Best Portland in Rare Breeds. Newton Croft Farms: Trophy for Overall Champion in Show. If you wish to enter online, please use the Form below. For Each Class Entry, please choose the Class, then the number of Pens needed for that class and then click ‘Add to Basket’. Repeat the steps for each class you wish to enter.